I am a hopeful romantic and February is my favorite month of the year. 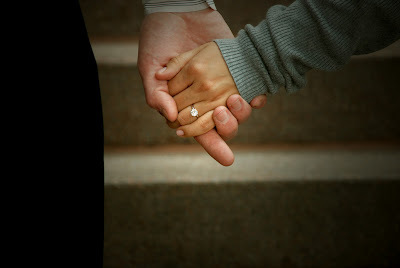 It is when everyone is full of love for their partner and even the whole world. I really believe that love is what makes the world go 'round. I started a 365 project at the beginning of the year and while I was able to take a photo for everyday in January, it was VERY hard to find inspiration of what to photograph. I felt goofy taking "artistic" photos, but that was kind of the point so that I could improve my photography skills. In any case, I knew that I wasn't going to be able to come up with 365 ideas on my own and I was panicking. Then I started running across the #janphotoaday hashtag on instagram and I noticed that all the photos had a theme each day. So I did some research and found that a user was making up the prompts for each month! If you have an Instagram account, you can follow her @fatmumslim and me @ScorchingStyle and see what we have to show you. 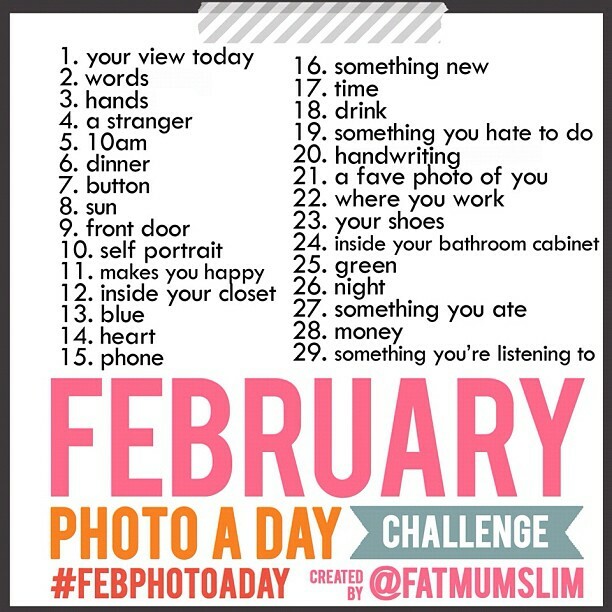 I discovered this too late in January, but I am participating in February using the #febphotoaday hashtag. 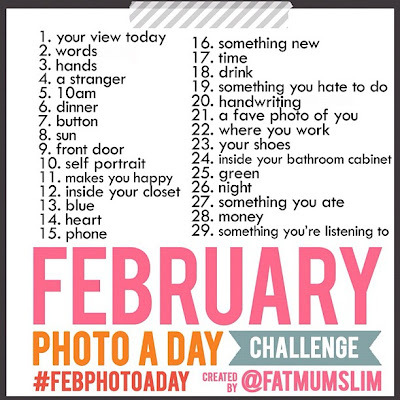 The prompts for each day are in the photo above. Yesterday's prompt was WORDS and I posted the photo of a plaque that hangs in our guest bathroom. 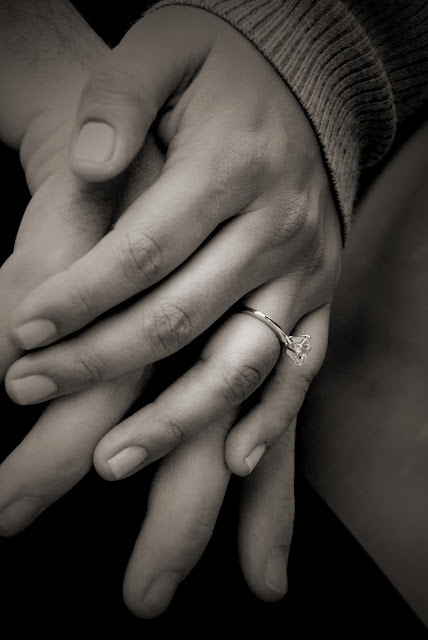 Today's prompt was HANDS and I love this one because I love holding hands and I love my husband's hands. If I had to choose a favorite part of his body it would be his hands. They are big and completely dwarf mine and that gives me so much comfort. I love that he doesn't think it's silly to hold hands when we walk next to each other even though we are in our mid-thirties and I love, Love, LOVE the tingle of warmth that runs through my body when he absentmindedly places his hand on my back when we are in out in public. 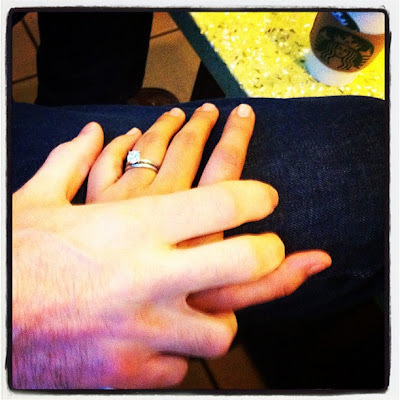 When we were engaged a few years ago we did the premarital counseling that was required by my church to marry us. One of the sessions was a test to determine what our "Love Languages" were because it turns out that if the other person doesn't know, they assume you have the same ones and that causes a great deal of conflict. For example, my husbands Love Languages are: Words of Affirmation and Acts of Service. He feels most loved when I offer to do things that will ease his workload. So when I do the kids' laundry or make dinner, it is one less thing for him to do and he feels loved. If he has to pick up clothes at the dry cleaners and the tailor as well as get his oil changed, he feels cared for if I say, "Let me run by the cleaners and tailor for you." It is one less thing for him to "work" on. Same for words of affirmation. I make it a point to tell him WHY I love him and not just that I do. That would never have occurred to me and I would just have been frustrated as to why it wasn't working! My Love Languages are: Gifts and Physical Touch. I like TOUCHING him! I feel wanted when he reaches out for me and I feel loved when he thinks of me during his travels and brings me back things. I've always been a huge gift-giver, I love picking out presents for people and seeing the look on their face when they open a gift that was completely unexpected but exactly what they wanted. I love getting gifts as well because to me, it symbolizes that someone thought of ME while they were going on about their day. I don't think our marriage would have lasted even these two years if we had never known this about each other. I would have just smothered him with my gifts and need to touch him and he would have felt underwhelmed by my lack of service and affirmation. On the other hand, I would feel rejected by his lack of touch and gifts and confused by his acts of service and terms of endearment. Today, I know that taking my car in for new brakes is how he shows me he loves me and likewise, he knows that holding hands is just as important to me as fixing the garbage disposal. I try to do more than what I consider my fair share of house work because he does much more than what I think is his fair share of work that brings us money for me to buy shoes. So yes, I love holding hands with him. Photos by JET Events were taken three years ago when we were engaged. All others are mine from Instagram and the FebPhotoChallenge is by @fatmumslim also on Instagram. Have a great weekend and don't forget to tell me what YOUR Love Languages are and how you navigate those in your relationships IRL. Blogger ate my initial post. I am going to try this again. There may be some changes because this post came from a saved draft. Thank you and I apologize for the inconvenience. I'm in love with this post. I remember Jo and I taking the love language "inventory" a while back. I remember that acts of service (something like that) was important to me, and touch was a biggie for him. Historically I have not had a need to touch or be touched. Being around a "toucher" has changed me. Now I feel neglected if he's not touching or hugging and kissing me. Go figure! I absolutely LOVE Valentine's Day. Jo and I ALWAYS plan a romantic overnight rendezvous somewhere nice. This year we are going to Choctaw for the night. It just so happens that we also met in February (23rd) so we celebrate both event. It'll be 6 wonderful years on the 23rd. I can say they have been the best of my life, and I thank God every day for sending me Jo. Maybe you take a look on my blog,there´s a giveaway.